Described by those who knew him best as a Buddha, a Merlin, and “a cross between Brer Rabbit and St. Francis of Assisi,” the artist Beauford Delaney was anything but ordinary. James Baldwin, his closest friend, wrote that “He has been starving and working all of his life–in Tennessee, in Boston, in New York, and now in Paris. He has been menaced more than any other man I know by his social circumstances and also by all the emotional and psychological stratagems he has been forced to use to survive; and, more than any other man I know, he has transcended both the inner and the outer darkness.” Indeed, these themes–grinding poverty, excruciating psychological torment, and the transcendence of inner and outer darkness through the light of his art–give shape and drama to Beauford Delaney’s most extraordinary life. 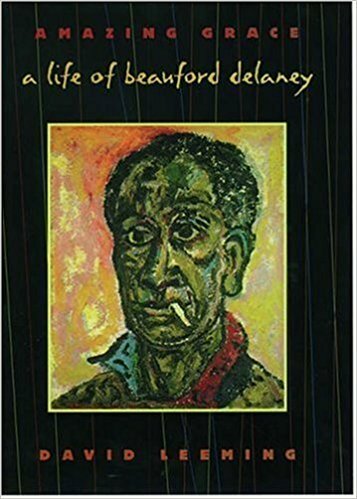 In Amazing Grace: A Biography of Beauford Delaney David Leeming, author of the acclaimed life of James Baldwin, tells the story of one of the most important black artists of our time with an affection, tact, and insight all too rare in recent biography. In chronicling Delaney’s remarkable trajectory from a strong religious family in Knoxville to his death in an Parisian insane asylum, Leeming maintains a dual focus on Delaney’s troubled inner life–his complicated homosexuality and the “voices” that would drive him mad–and his vibrant external life–his friendships with an amazing range of writers, artists, and musicians. Delaney seems to have known everyone, from Henry Miller, Jean Genet, Countee Cullen, and Elizabeth Bishop to Al Hirshfield, W.C. Handy, Alfred Steiglitz, Georgia O’Keeffe, Louis Armstrong, and virtually every other significant creative figure in New York and Paris. In many ways, Delaney’s life focuses the major currents of twentieth century art. Leeming quotes generously from the journals, notebooks, letters, and critical reviews, tracing Delaney’s movement away from representation–the street scenes and portraits of his “blues aesthetic”–into the abstract paintings where his dominant concern is with the “architecture” of color and a religious sense of light that “held the power to illuminate, even to redeem and reconcile and heal.” Along the way, we’re treated to a wealth of delightful anecdotes–Delaney in the manner of a Zen master telling James Baldwin to look at the water standing in a gutter; William de Kooning trying to tell Delaney how to market his work better and Delaney responding by rolling his eyes, patting de Kooning on the shoulder, and saying “Bless you, child”; Delaney immersed in the cafe life of Greenwich Village and Montparnasse, painting in his unheated studio in a parka and wool hat, giving away to friends and strangers what little money came to him. Amazing Grace illuminates both the work and milieu of a major black talent and gives us a portrait of a man spiritually devoted to his art, a man we would have very much liked to know and who, after closing the book, we feel we have known.